Looking for hotels near Playa Blanca? 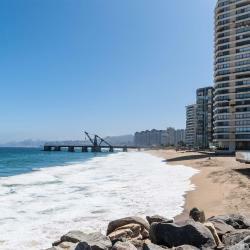 Alto Coraceros Apartment offers a modern apartment in Viña del Mar, located only 656 feet away from Mall Marina Arauco and 1312 feet from the nearest beach. Located in Viña del Mar, a 14-minute walk from El Sol Beach and 1.4 miles from Las Salinas Beach, Alto Coraceros provides accommodations with amenities such as free WiFi and a flat-screen TV. Vista Meseta Coraceros is located in Viña del Mar, a 14-minute walk from El Sol Beach, 1.4 miles from Las Salinas Beach, as well as 1.6 miles from Los Marineros Beach. 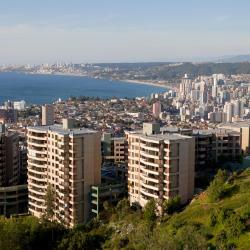 Private rooms in a shared apartment, located in Viña del Mar in the Valparaíso Region, 984 feet from Los Marineros Beach. Located in Viña del Mar, a 14-minute walk from El Sol Beach, Departamento Alto Libertad provides accommodations with free WiFi, a garden, and access to a fitness room and an indoor swimming pool. Located a 15-minute walk from El Sol Beach, Departamento Meseta Coraceros is in Viña del Mar and has an outdoor swimming pool and a fitness center. 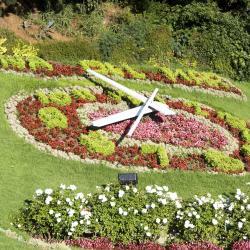 Located in Viña del Mar, a 17-minute walk from Wulff Castle, Somni Hotel Boutique has accommodations with a garden. Great location, delicious breakfast and wonderful staff. We enjoyed our stay here. Featuring free WiFi access and a complimentary breakfast, Hotel Ecomusic offers accommodations in Valparaíso. Location...and price. Breakfast buffet absolutely great. Featuring a private access to the beach, La Ritoqueña is located on Ritoque Beach, 2.5 mi from Quintero. This hotel is just 66 feet from the beach and offers views of the sea, mountains, and dunes. Wonderful host. Wonderful view. Only a 15-minute walk from Anibal Pinto Square, Voga hotel offers rooms with free WiFi in an old Victorian-style house constructed by German immigrants in 1880. 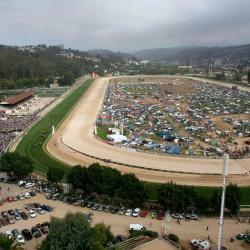 It is the best property in Valparaíso. The rooms are big and bright and very comfortable. Set in a stately 1920’s big house, Hotel Casa Higueras features a swimming pool overlooking the bay, and a spa. There is a restaurant, and free WiFi is provided. Helpful and friendly staff. Beautiful property. With scenic views of Cerro Alegre´s historical houses, steps away from downtown Valparaíso, Cirilo Armstrong Hotel Boutique features stylish architecture and self-catering accommodations. One of the best places we stayed on our 2 months in South America. Located in Valparaíso, a 5-minute walk from Baburizza Palace, Wood Residence Hotel Boutique provides a tour desk and free WiFi. Very very helpful and friendly family who ran the guesthouse. Located in Valparaíso, on Cerro Alegre, Augusta Apart Hotel offers accommodations with equipped kitchen, balconies and ocean views. Free WiFi is provided. Absolutely amazing stay, everything was perfect and the sea view was great! Hotels with great access to Playa Blanca! This hotel is located in the heart of Cerro Alegre, one of the important tourist areas of Valparaiso, City Cultural Heritage of Humanity. Beautiful hotel with lots of character. Well located with great views of the city. Located in Valparaíso, Hotel Winebox features accommodations with private terraces. Buffet and American breakfast options are available every morning at the accommodations. The attention to detail is incredible, from the rooftop terrace to the lights in the bathroom. 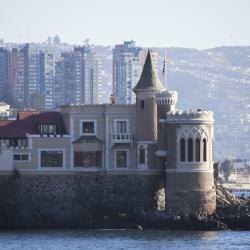 Overlooking Valparaiso Bay, this 5-star hotel offers luxurious rooms with panoramic views of the Pacific Ocean. Free WiFi access is available and facilities include an outdoor swimming pool. Excellent location. The facilities are really good, including the spa, pool, and gym. Located in Cerro Bellavista and in the heart of Museo Cielo Abierto, the property offers 19 fully-equipped apartments. Free private parking is available on site. I booked for 5 nights, but extended to 10. Set in an ecological building right on Cerro Alegre, Fauna Hotel offers rooms with free WiFi and complimentary continental breakfast. Bed was very comfortable and staff very nice and willing to help. Set in a charming house located only 0.6 mi from Valparaiso’s beach, MM 450 offers accommodations with free WiFi. Bright and spacious, rooms at MM 450 feature wooden lockers and large windows. Amazing design, comfortable bed, super gracious staff and amazing restaurant!